The Total Black cap stands out for its weave that simulates the effect of carbon. Simple and attractive, it highlights the Ducati Corse shield that remains the star. 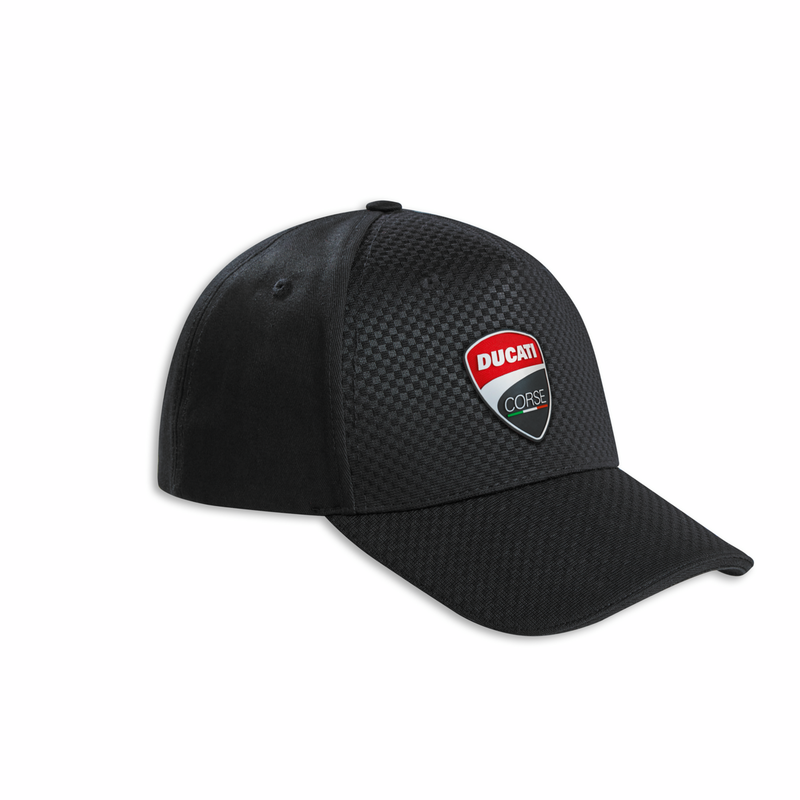 Created in 100% polyester and available in one adjustable size, it is ideal for fans of the racing world.